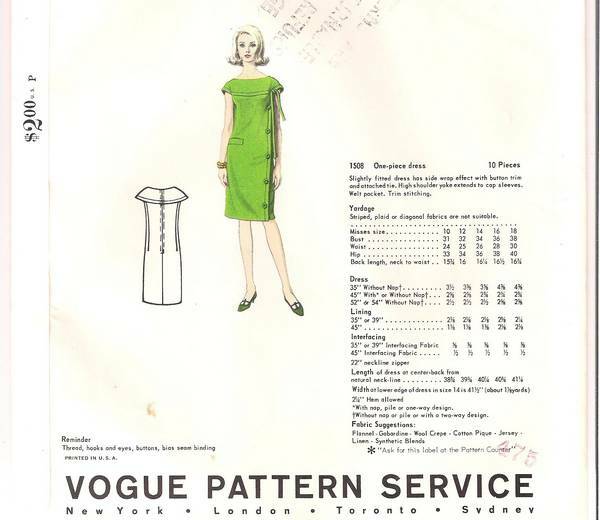 Vintage 1960's Vogue Paris Original Pierre Cardin sewing pattern. Dress has side wrap effect with button trim and attached tie. High shoulder yoke extends to cap sleeves. Uncut, complete and in excellent condition. Comes with "Vogue Paris Original" label. Cover features model Deborah Dixon.